lol @ the jack plate switch ring. awesome maple and top carve. You know this is a much more playable design than the first production model. I am curious as to what the decision process was that brought them from this to the completely unplayable wrap-under bridge design. 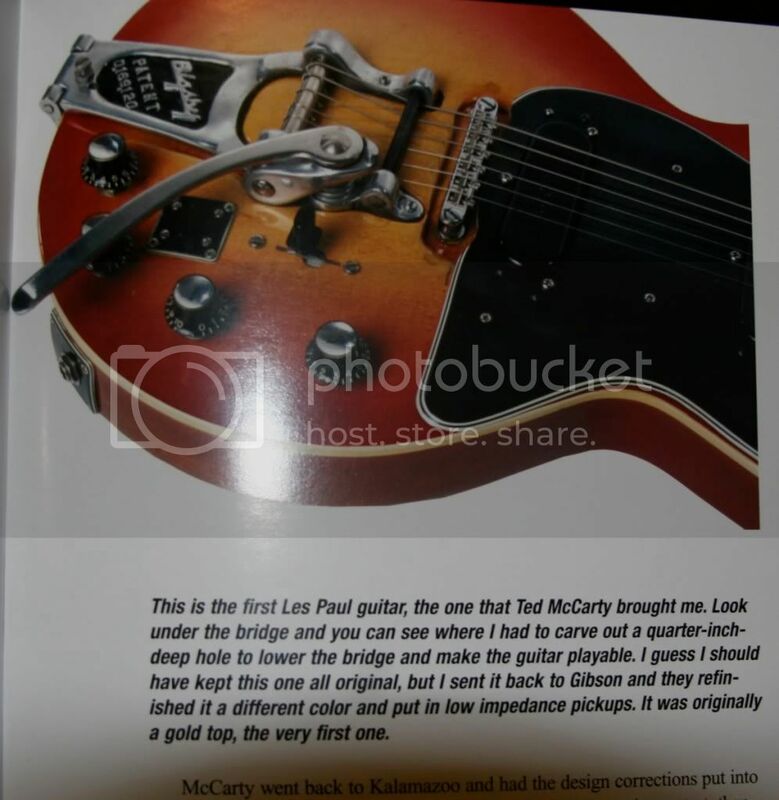 I don't know if it's this one or another one, but there is a shot of a prototype that Les actually owned and had modified WAY beyond recognition, right down to a Norlin Clownburst refin. I THINK it was a different guitar. He'd chiseled a recces to fit a Bigsby into the top. If I recall, this one had been restored after having been modified as well. This guitar has dot fret markers. I believe this guitar was heavily modified from its original bridge configuration. 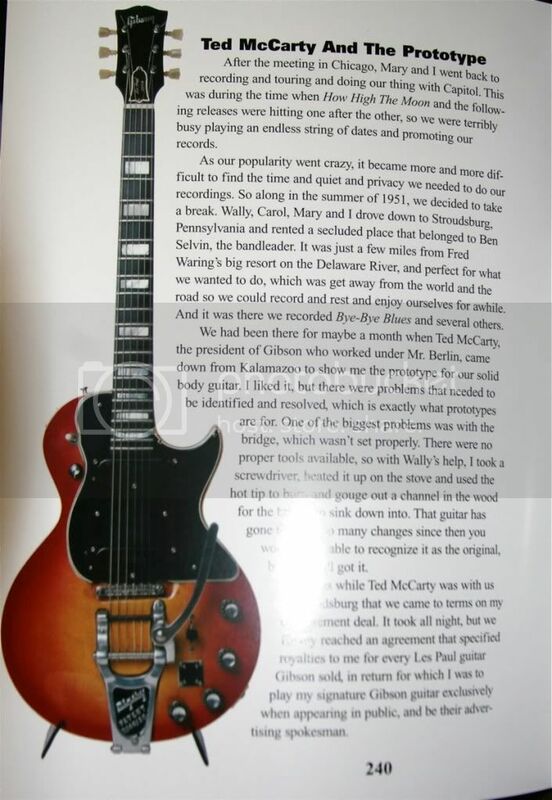 les paul designed the tailpiece, gibson got the neck angle wrong. he hated it and complained, thus the wrapover desinged by ted mccarty. 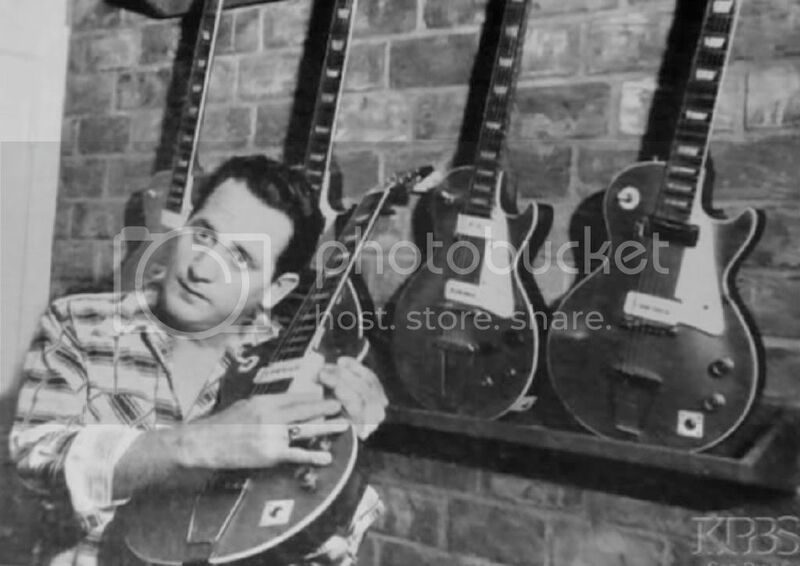 the tribute les pauls have the corrected neck angle and the trapeze as Les intended.
. . . that woulda been Les. Yup--and they look kind of cool. That's an awesome guitar, even with the industrial switchplate. 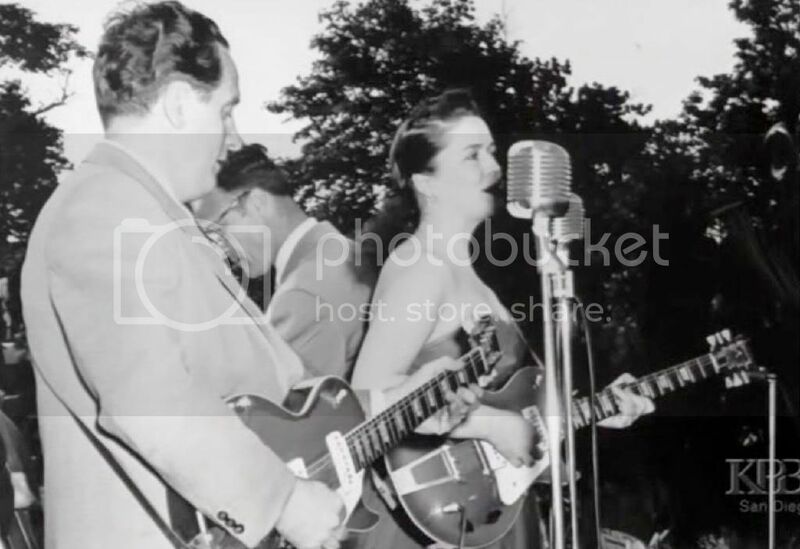 I believe he installed dogeared covers to hide the humbucker routes that were made during its defacing. Wow....much coolness....LOVE those kinda old pics....thanx for sharing! !